Is your kid getting adequate nutrition? Watch out for these symptoms. Kid nutrition becomes a crucial aspect of health, growth, development and well-being after 6 months. If the kid is breastfed for the initial six months, there is nothing to worry about the nutritional requirements or moms need not worry about lack of nutrition in kids. 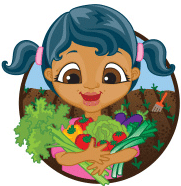 Kids need adequate nutrients from vitamins to fats. If your kid lacks nutrition, don’t worry you can easily identify the nutrition deficiency through many symptoms. Identifying the symptoms of nutrition deficiency in kids is very important to avoid several health complications in the kids, as they grow. How to identify if my kid lacks nutrition? Check out these symptoms of nutrition deficiency in kids. Deficiency of vitamin A could abruptly damage the vision of the kids and can create very severe vision problems. Common sings of Vitamin A deficiency include hair loss or delayed or no hair growth, loss of weight or inability to gain weight, prolonged tiredness, dry eyes, etc. Taking B vitamins to support healthy nerves is important to child health. The deficiency of this nutrient is depicted through many ways in kids. Developmental delays, edema, poor growth, inability to understand, brain fog, stomach pain, insomnia, etc are the symptoms of vitamin B12 deficiency. Since this nutrient is greatly associated with nervous system, any problem in the heart or brain indicates the deficiency of Vitamin B12. Simply, if your child lack smartness or remain inactive both physically and mentally it be assured that your kid lack vitamin B12. While lack of vitamin B12 affects the growth and development, Vitamin B6 deficiency affects the behavior. Irritating behavior, tantrums, hyperactivity, tensed, stress, inattention, etc indicates the lack of Vitamin B6. Poor appetite, bruising, dry skin, dry hair, prone to infections quickly, etc are the symptoms of vitamin C deficiency. Simply, extremely dry skin and dryness of hair are major signs of Vitamin C deficiency. Deficiency of vitamin D impacts the deficiency of calcium. In fact, if the child doesn’t get enough dose of vitamin D, the natural vitamin we can absorb from sunlight, then the body will not be able to absorb the calcium. Both these deficiencies goes hand in hand affecting the health of your kid in a long run, even creating permanent disability. Delay in teething, physical growth delay, weakened bones, pain in the joints, prone to injuries, etc indicate the weakness in bones, due to lack of calcium or lack of absorption of calcium in the body due to Vitamin D deficiency. Not many of us bother about Vitamin K. Vitamin K is a very important nutrient that helps in clotting blood quickly, preventing injuries, etc. Unfortunately, most of the kids lack in Vitamin K and newborns are provided adequate dose of Vitamin K either orally or through injection. Symptoms of Vitamin K deficiency include nose bleeding, uncontrollable or frequent bruising – especially in the face, frequent vomiting or vomiting sensation, bleeding during vomiting, paleness, etc. Carbohydrates are energy giving foods. If you go on a restricted diet for your kid, say a lot of protein and vitamins, with milk, meat, fruits and veggies, your child with definitely lack carbohydrate. The most common symptom of carb deficiency in kids is fatigue, weakness, deprived energy, etc. Iron is one of the most important nutrients, a mineral that keeps major health ailments at bay. Iron deficiency, also called as anemia has too many indicators, which include brittle nails, pale face, white eyes, pale nails, loss or hair or delayed hair growth, rapid heartbeat although heart beats faster in kids, it further increases, loss of appetite, etc. It can cause permanent physical and mental disabilities, even if you feed enough dose of iron. And to absorb Iron, your kid needs Vitamin C.
Don’t take chances with your kid’s health. If you find anything fishy, seek medical attention immediately. This is really an interesting article. I expect more health related articles on this blog site. We will be publishing health related articles frequently in this blog. You can subscribe for free to get the notifications in your email. For those struggling with B12 deficiency, I recently heard about a new oral prescription alternative to the injections called Eligen B12. I recently read that it works even if you don’t have intrinsic factor (so even if you don’t have normal gut absorption). Apparently it came out a month or two ago. Has anyone heard of it or tried it?